Well done everybody and a big thanks for choosing to compete at Triley Fields Equestrian Centre today. The results of today’s classes are below. 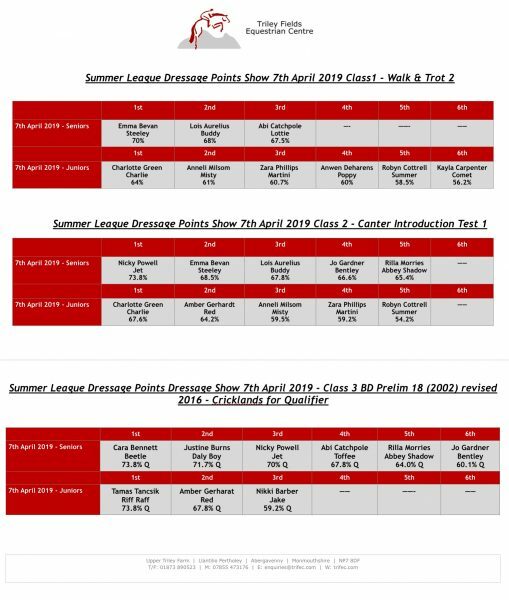 These are the first results in our Summer Dressage Series – a series of 6 shows with results counting towards end of season trophies for both the Junior and Senior overall Winner in each class. No need to register – just enter a show and we do the rest!